You bet! It’s a good one! 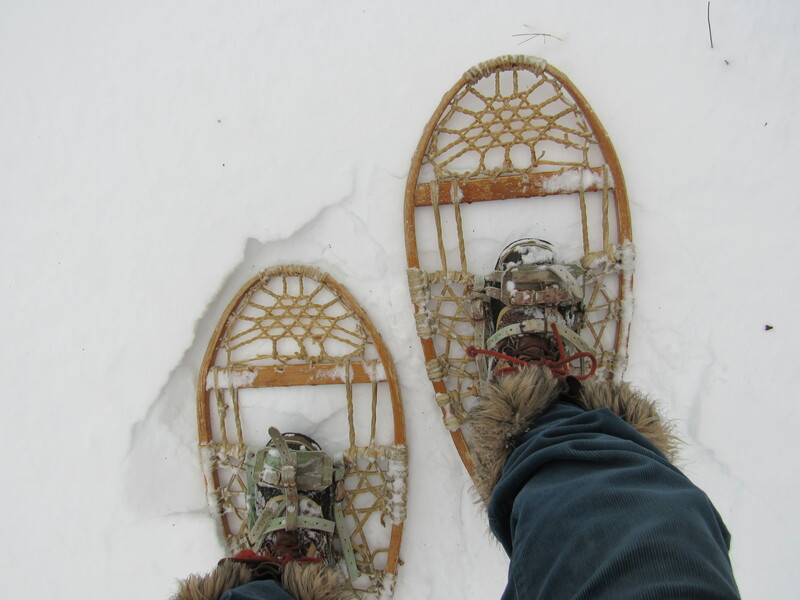 Hope you are enjoying your season of winter! Such beautiful chickens! Thank you for the recipe. We miss you! Miss you too and hopefully we’ll see you and Jenny and your mom this spring, always a pleasure to visit with you. Chickens are truly the best, we love watching them cruise around the property and are very thankful for the delicious eggs! 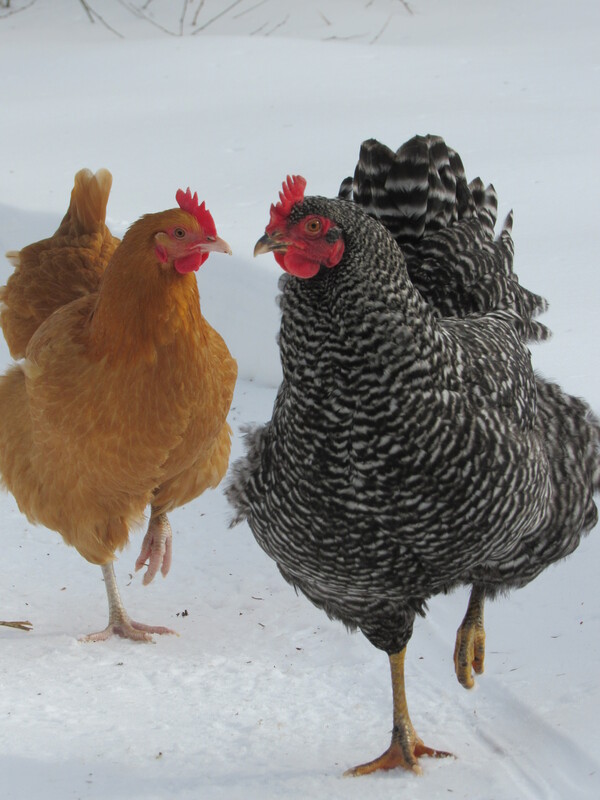 D > Your winter seems to be delightful : even the hens (judging from their red combs) are delighted to be out in the snow! Our winter had been mild and wet : only two mornings with light frost. But with the first daffodil flowers beginning to open, it’s difficult to believe we’re only just past the half way mark! On a sunny day the chickens do love ‘stepping out’ to meander around the property. I’m sure they think all the path shoveling we do is for their benefit! Yes, about half way through and a stretch out before us until we see any signs of green growth! Love your chicken photo – such healthy girls! 🙂 Pudding sounds delicious! Pudding…yum, yum!! And, of course, chocolate makes everything better! I wanted ice cream today. It was 70 degrees. Ice cream with chocolate pudding! I’m in! Oh, too much. Have you ever ‘seen’ avocado pudding? After seeing it, there is not need to taste it. Last week it looked and felt like spring was just around the corner but this week we had a snow storm 12” or more and all week its barely been 32* . I crave hot chocolate and Irish coffee all the time and my figure shows it . Boy you hit your 50s and can’t eat anything…. Your post made me think of the children’s book you told me about many many sweet years ago called ” Thunder cake ” Remember ? Loved that book ‘Thundercake’ and still have it, I’m saving it for Violet! Another of my favorites of same author is ‘Chicken Sunday’. Oh, I miss those days of reading to my kiddos and Violet not close enough to indulge ( me as well as her!). Soon, I hope! P.S Do your dogs bother the chickens? Or do you keep them behind a safety fence? Dogs don’t bother chickens at all. They grew up with having them around the farm/nursery and would have gotten scolded if they ever thought of ‘taking chase’. Just the opposite in fact, they see them as part of what they are expected to protect. Do you have chickens? Right this moment, I am heartily sick of winter and its tricks! We got lots of snow last weekend and then it was 40 degrees yesterday and poured rain. Now, the temps have dropped again and there’s ice everywhere–treacherous! But chocolate pudding like yours might make everything okay again . . .
Kerry, trust me, chocolate pudding puts the world right and I highly recommend it! Ha! Oh, that sounds heavenly! I am on day 21 of Whole 30. This might go on my day 31 list! Hello Paula. Happy winter to you! The mending class was fun…and informative, it feels like like the old craft of mending is on the rise and that’s a good thing. Loved the article and thank you so much for sending it! I’ll pass it on to my young friend Maya as well. I am looking forward to the gardening season as well, but will let winter continue to unfold as it will and be glad for the reprieve it brings. A very weird winter—bucketing rain in January—but that chocolate pudding sounds scrummy. Weird as well! Not the old fashion kind with piles and piles of snow ( and snowbanks!) and temperatures that stay cold and consistent through the winter. Chocolate pudding does make any day better, however!